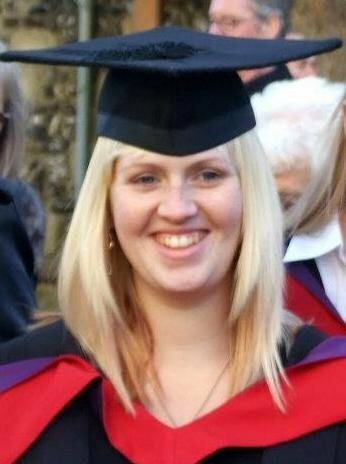 I graduated from Christ Church University College with a BA Hons Music in 2011, and I have recently completed my MA Songwriting with Bath Spa University College. I began learning the piano aged 8, and it became an important part of my life. I also play the Recorder, and Saxophone, and started vocal lessons aged 14. I have participated in many music concerts and performances on each instrument, as well as the standard examinations. I enjoy participating in as many music events as possible including local and church choirs, choral society and charity events. Teaching has always been an important aspect of my life, and I have had over 11 years experience of classroom and school music. Music and teaching are my passion, and I enjoy passing on my skill, knowledge and enthusiasm to pupils. I have been teaching privately for 15 years with a range of ages and abilities. I am happy to teach simply for enjoyment, or to work towards examinations and performances. I have 100% pass rate for all pupils entered into examinations. I had a break from teaching due to moving area and having my daughter, but I am now keen to increase the number of pupils I have. KirstieFrom Tony (5/5): Immediately puts you at ease and is extremely patient - very necessary in my case as I am a complete beginner! KirstieFrom Bev (5/5): Kirstie is a friendly tutor who offers lots of good help and advice. She listens carefully to your needs and is happy to suggest suitable songs to learn. Reply from: Kirstie: Thank you Bev for taking the time to leave such lovely feedback and I look forward to many futures lessons with you. KirstieFrom Liz (5/5): I found Kirstie very friendly and welcoming. She was calm and very patient. Looking forward to my next lesson, in the meantime I shall quickly get practising.